A soft top surfboard is great board to have in anyone’s quiver. Everyone uses soft tops from world champions to the first time surfer! Back in the day soft tops use to be frowned upon because they weren’t made to surf the way you would want. They were always falling apart and never had the performance level you were hoping for. Now soft tops are so popular that pro surfers are coming out with their own soft top companies and they are selling out immediately. Soft tops are especially good for learning how to surf but they have also come out with high performance soft tops that can surf like you would your regular surfboard. The soft deck top allows for a more comfortable paddle and is also very forgiving with dents and dings. 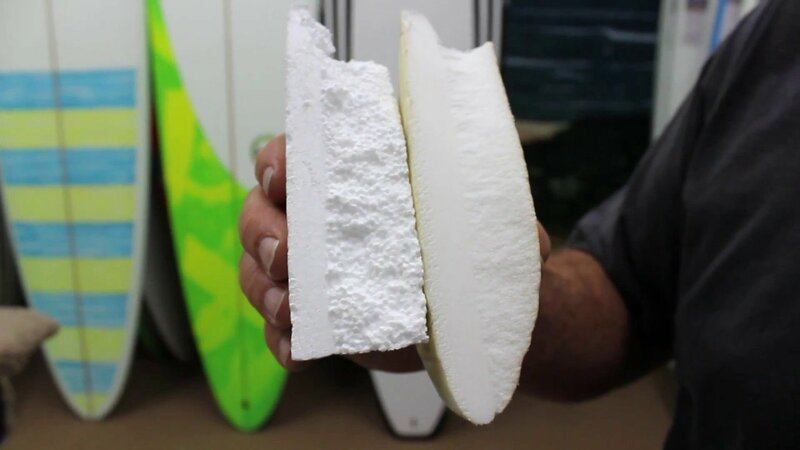 They are lightweight, stable, and are more affordable than a normal fiberglass surfboard. Here we will go over the best soft tops in the surfing industry and why we like all of them for different reasons. We have took our surf school soft tops we have used for years and compared them to the best in the industry. 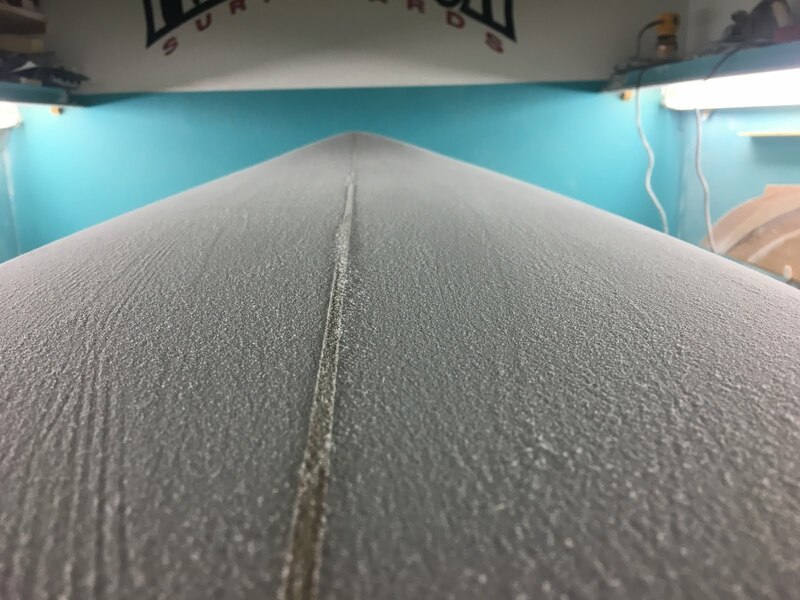 Also we have talked to many top pros/amateurs to see what they preferred and also we ourselves have tried out every high performance soft top in the surfing industry. We all want to have fun right? When learning how to surf you want to have a surfboard with a lot of foam. 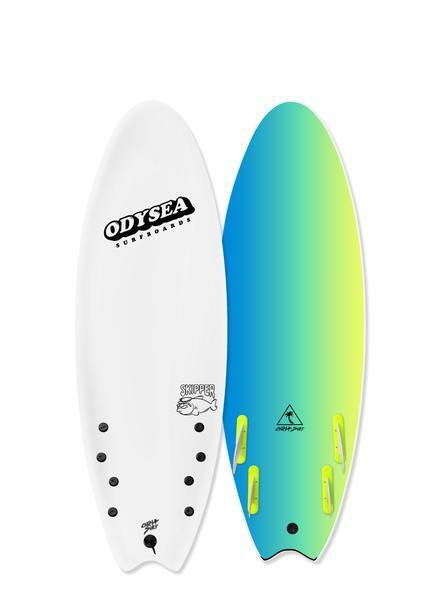 This will help you paddle easier and will let you catch a ton of waves compared to a smaller soft top surfboard. 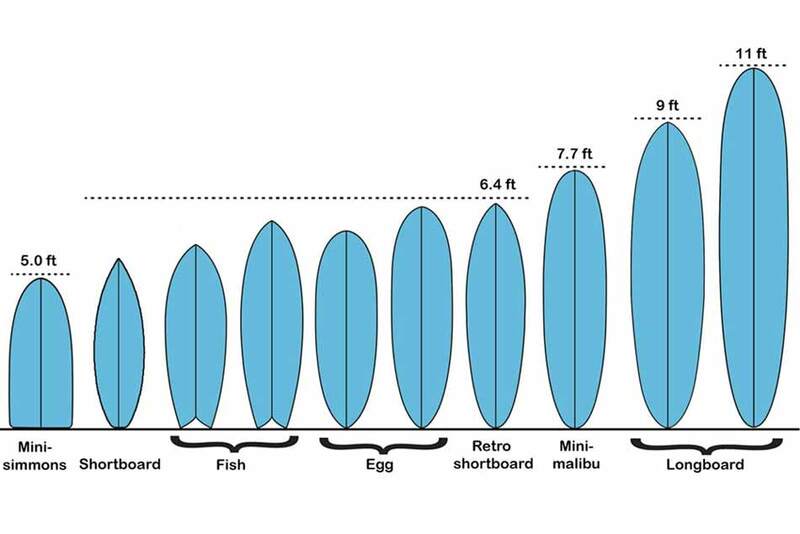 We recommend an 8ft-9ft soft top surfboard with as much width and thickness as possible! Here is our favorite learning soft top surfboard in the surfing industry. The 9ft Stormblade SSR soft top surfboard is perfect for learning how to surf on any type of waves. With the added foam it is very buoyant and easy to learn on. You will be standing up in no time. Here at Corky Carroll’s Surf School this is the soft top that we use to teach every new surfer. Nowadays you can find any style soft top for all conditions. For your small wave days they make perfect summer surf long boards that any surfer can ride. For your medium size days they have what we call “fun shape” soft tops which are more high performance than your long board but can still make steep drops and do radical turns. Finally they make soft tops that are like high performance short boards in which you can get barreled and throw airs on. The list below is our favorite soft top surfboards. The Takayama Scorpion Soft Top is one of our favorite soft tops in the surf industry right now. They ride really well in small surf but also can handle bigger surf if needed. The round tail helps with different wave heights but still remains loose enough to be able to throw down turns. The thermal formed EVA soft top deck allows you to grip the board comfortably but still be able to let loose in more high performance waves. Here at Corky Carroll’s Surf School Private Lessons we use these boards all the time and they last forever. One of the leading soft top companies in the world right now. They have every kind of high performance soft top you can imagine. 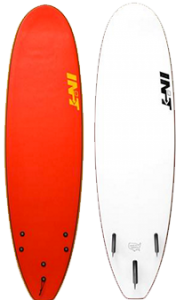 With the short board fun factor they create soft tops that will let you surf the way you want. 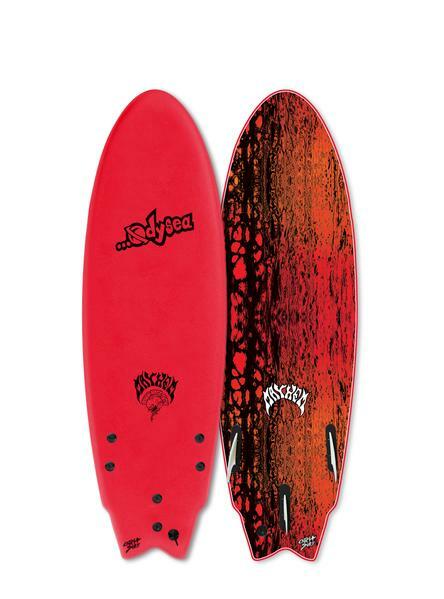 They are super responsive in massive shore break and super cruisey on small long board waves. INT Surfboards have been one of new up and coming companies to master the soft top industry! 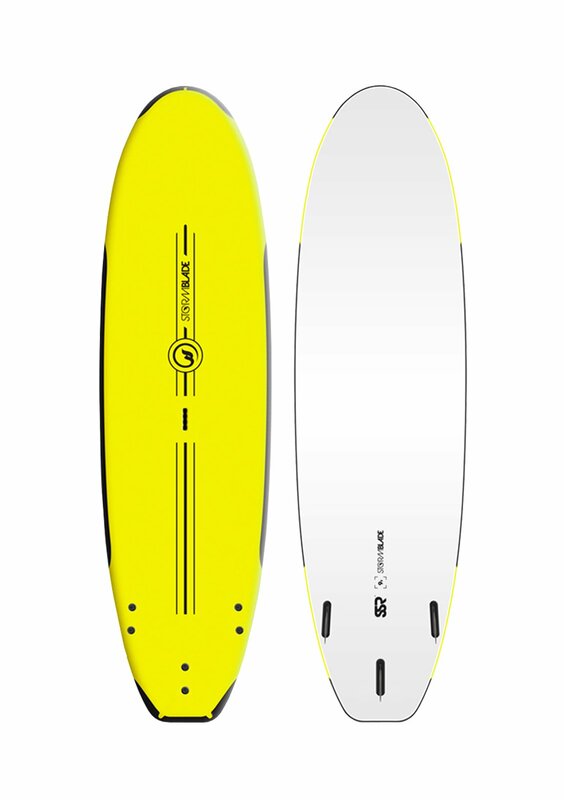 This 7’0 fun board makes our list because it paddles like a long board but performs like a short board. “It gives you enough to room to paddle around the line up with ease, has enough pop-up stability, and it gives you just enough responsiveness to execute tighter turns or make it down steeper waves. The last soft top surfboard on our list is from your very own world champions Mick Fanning. He has created his own model of soft tops that represent his surfing and made them for everyone else to enjoy! If you couldn’t feel the foam on your feet then you think you were riding a real fiberglass board. This board is for all around fun but does better in more high performance situations. Its short, wide, and fast which make it one of the more versatile soft tops in the surf industry. 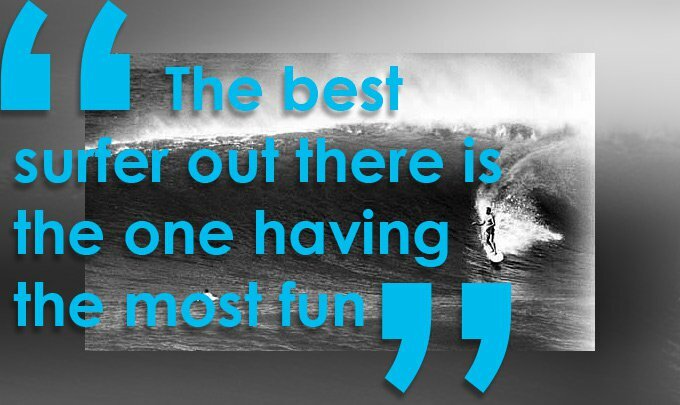 Whether you are just learning how to surf or a legendary surfer you can have fun on soft top surf boards! The new technology that we have come across will make soft tops at the top of the surfing industry for years to come. Everyone should have at least one soft top in their quiver of surfboards and if not then you are late to the game. While most of the world celebrates traditional seasons like winter, spring, summer, and fall, Costa Rica experiences a wet season and a dry season. 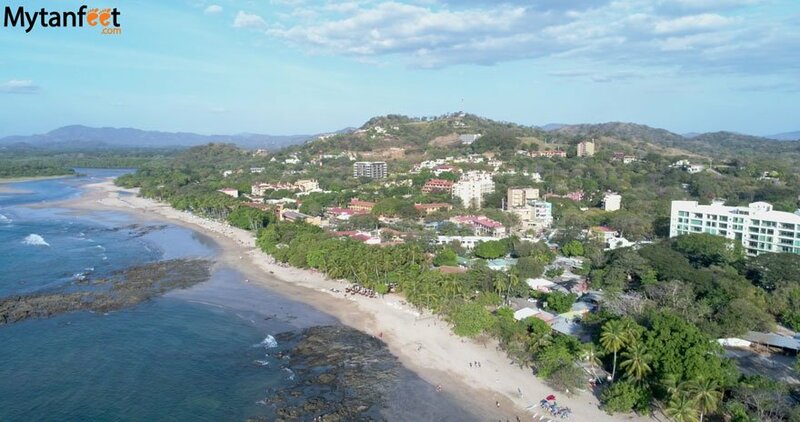 Although Costa Rica Seasons change, one season brings more rainfall, temperatures are warm year-round with the wet season yielding marginally cooler temperatures. The dry season runs from mid-November to April, with occasional showers running through December. After that, it’s cloudless and bone-dry skies with temperatures in the upper eighties until May. Offshore winds yield clean, consistent surf with waves on tap all day long. During this time of year the waves are smaller and easier to learn to surf on, while the sunsets are to die for. 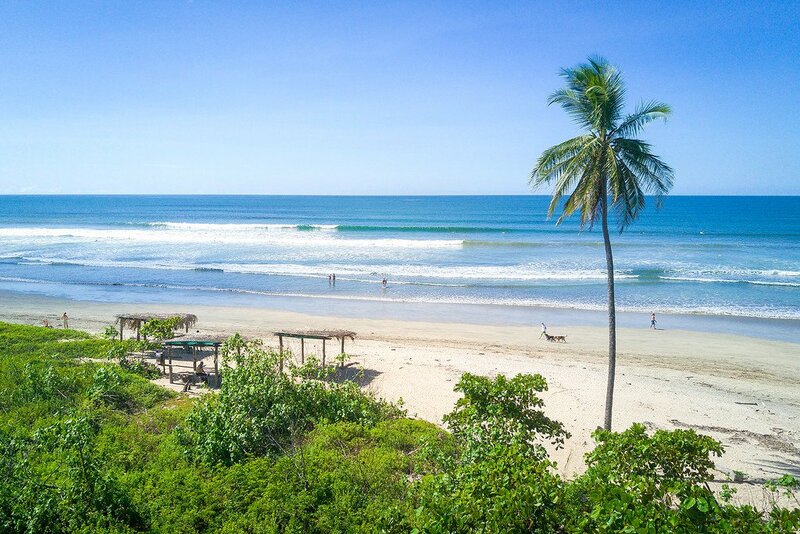 The best beaches to learn to surf on in Costa Rica are right near our all-inclusive Costa Rica surf resort at Playa Guiones. It’s for these very reasons that Nosara experiences the majority of its tourism during its summer months. During the dry season, the jungle dries up a bit but everything is open and tours run frequently. When you’re taking a break from the surf, the town has a number of tasty restaurants and juice bars, the jungle offers a collection of hikes, and there are adventure tours aplenty. After months of rain free days, the skies part in May and the rainy season begins in full force. The majority of the “green season” begins with sunny mornings, followed by showers in the afternoon and evening. September and October are by far the rainiest months—rain often falls all day long and a number of businesses temporarily shut down. Due to the wet conditions, the rainy season tends to be less crowded and many tours and accommodations are available at a discounted rate. People ask us What they should pack for a trip to costa rica during different seasons. Although it is wet in the rainy season, it isnt cold at all. While September and October may not be the best months to visit, the rest of the rainy season can be an incredible time to visit the beach town. The jungle and surrounding foliage become green and lush and there are plenty of empty waves to be had during the sunny mornings. Waves tend to be a bit bigger and less consistent during the wet season but there are a number of days when the surf is all time. Weather is a tad cooler during the winter months but still averages in the low eighties. Our all-inclusive surf resort runs from November to mid-August. Although Nosara has something to offer all year long, we feel conditions are ideal during these months. If you’re looking for endless, sunny days visit us during the dry season but if you’re looking for fewer crowds and occasional showers visit us during the wet season. If you are looking for travel information or which airport to fly into check out frequently asked questions about our Costa Rica surf resort. Regardless of when you choose to come, we’re confident you’ll have a great time. Healthy Family. Healthy Friends. Healthy you. 2019 is a fresh start. It’s a fresh page in your new, favorite book. It’s a tad bit cheesy, and a tad bit cliche. Yet, this is the chance of a fresh perspective. This New Year is a chance to look back, to be appreciative, and to move forward with full momentum, and kick off a Healthy New Year! What’s next? What are your New Years Goals? 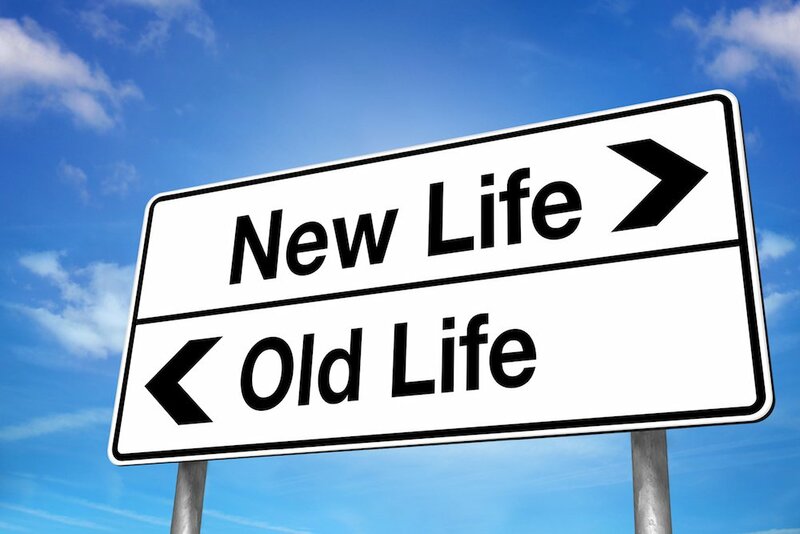 Maybe you’ll strive to have new, active hobbies. Maybe you want to be outside more. Maybe you’ll work on being more mindful, and take more time drawing or reading. Maybe you’ll work on being more present with your family, and maybe you’ll delete that, “time sucking app” off your phone. Maybe you’ll practice making the best, darn, vegan tacos EVER! Or maybe you’ll decide to adopt a happy, yellow-lab from your local shelter. There’s a lot to be grateful for. There’s a lot to reflect on, and remember how exciting (and draining), 2018 was. There’s a lot to be stoked on. There’s a lot we’ve each learned personally/individually- And a lot we’ve learned as a group/business here at Corky Carroll’s Surf School. We’re grateful for our community that teaches us so much. We’re grateful for you. We’re grateful for the chance to teach our craft, and to teach the next generation of little rippers. We’re grateful to own and love this passion, that gets us out of bed each morning. Let’s make this year the best one yet. We welcome you to try surfing this year. Not only will surfing brighten your day/week/month- surfing allows your body to physically and emotionally feel better. After a few times Surfing with us at Corky Carroll’s Surf School– this healthy activity will give you better stamina/cardio. Surfing works-out not only your arms for paddling- but also works out your core to keep balanced, and your legs to squat and stay level on the waves. 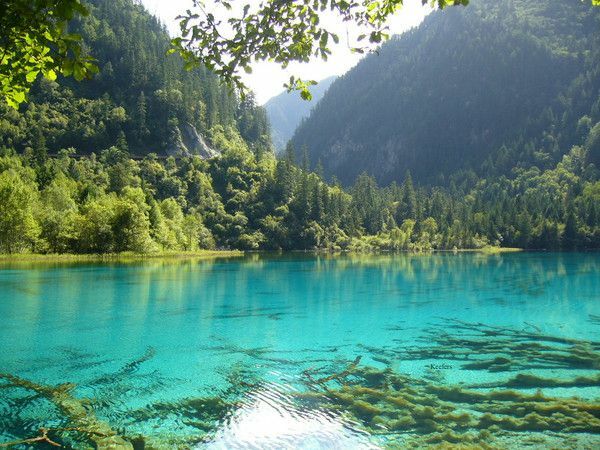 It’s also a stress huge reliever, to hang/wade in the cool water, and listen to the calming/crashing sounds (and to laugh with friends). Oh… and did we mention how cool your hair will look afterwards (really gives that, fresh out of the salon, BoHo look…)?! In 2019, make that “home-made, famous, vegan taco!” Eat it on the beach, and try one of our newest Surf Boards. Or maybe, consider taking your family to our all-inclusive Costa Rica surf resort where we make learning to surf, easy (since ’98!)! We teach all ages, and all skill and all athleticism levels. And we’d be happy to give you 1-on-1 lesson, or teach a group lesson, for a fun afternoon with friends. We even provide videos for feedback, and to show how much you learned that day! Want to learn more about our programs, and what we offer? Simply cruise over, and hang with us at Bolsa Chica State Beach. 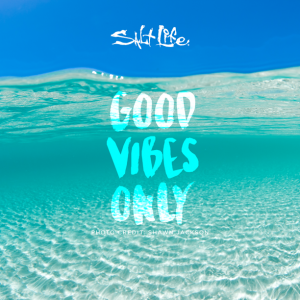 Or just give us a call to say hi, and talk surf. Or call and talk yellow-lab, shelter dogs. Either way, we’d love to hear from you. 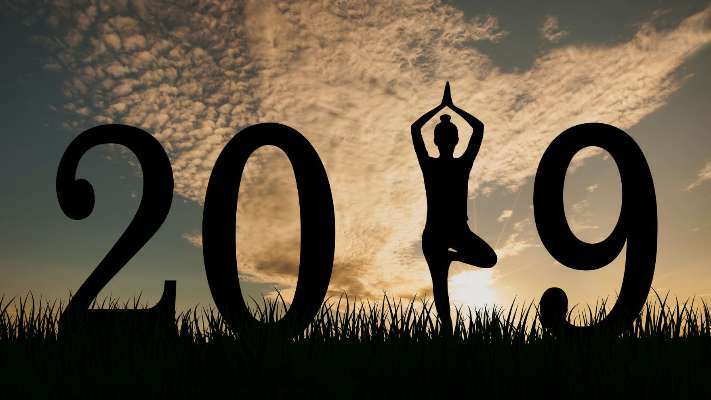 Best of wishes for 2019! 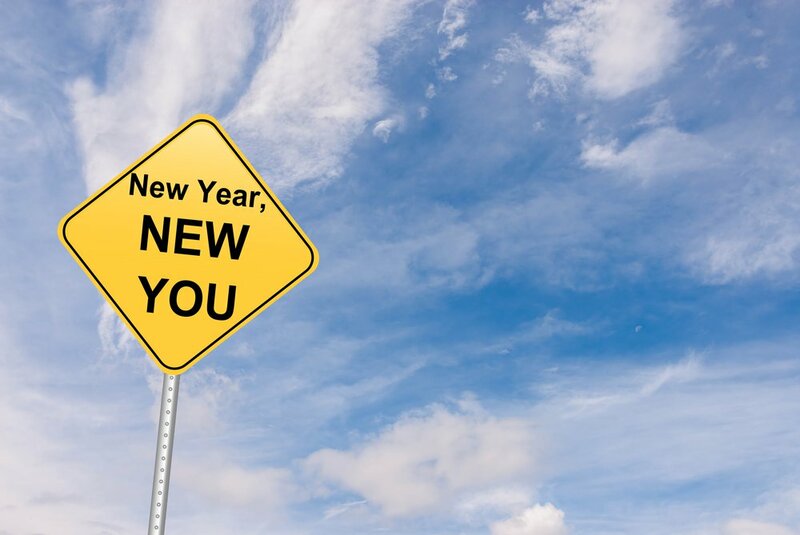 Start this off with a healthy New Year, and a new perspective. Tell us your New Years Goals, below! Or tell us what active hobbies you’re trying in 2019! In recent years, wave pools have been popping up across the globe, defying nature and providing perfect surf in the process. Each is unique in its construction and design but all are similar in the fact that they provide surf and stoke in places where waves would otherwise be unavailable. Here, we take a look at five of the top wave pools on the planet and discuss their backstory, the technology behind them, and public access. Try not to froth too hard. In 2007, Kelly Slater founded the Kelly Slater Wave Company (KSWC) with the goal of creating a soliton wave, or a wave that maintains its shape while moving at a constant velocity. In 2015, Slater’s dream came to life when the first footage of the artificial wave was released to the public. The technology behind the wave is simple yet wildly complex: a 100-ton hydrofoil is pushed along a 700-yard track, resulting in six-foot waves that last about a minute. The wave is often regarded as one of the most perfect waves on the planet and in September of 2018, the CT hosted its first event at The Surf Ranch. For now, the wave is invitation only but expansion plans should open the wave to the public in the near future. The BSR Cable Park put Waco, Texas on the map as a premier surf destination in early 2018 when footage of Seth Moniz doing a massive backflip on the wave was released. The park features multiple breaks, with waves suitable for beginner, intermediate, and advanced surfers. From the minds of Jamie O’Brien and Cheyne Magnusson, the pool is fueled by 24, 10-foot wide air chambers. The result: 240-feet of wave generating area. In addition to waves, the park offers a lazy river, an epic water slide, and an on-site hotel. The park is open to the public and one-hour sessions run from $60-$90, depending on your wave choice. 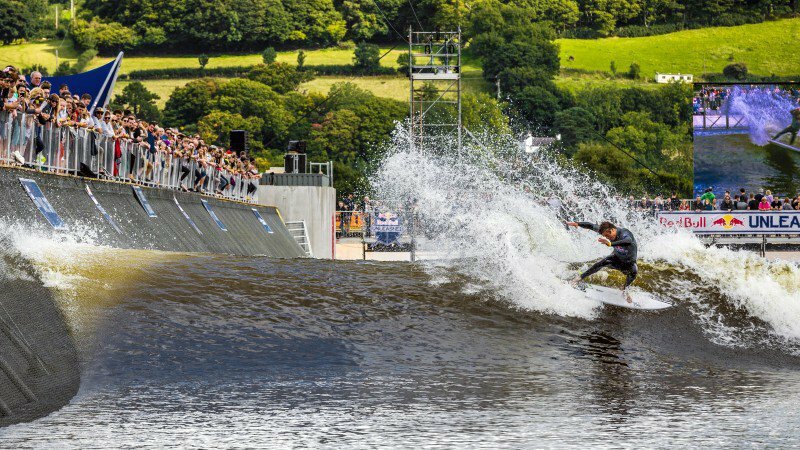 Surf Snowdonia was born in North Wales, United Kingdom in August of 2015. Set against a backdrop of forests and mountains, Surf Snowdonia offers beginner, intermediate, and advanced waves to satisfy surfers of all skill levels. 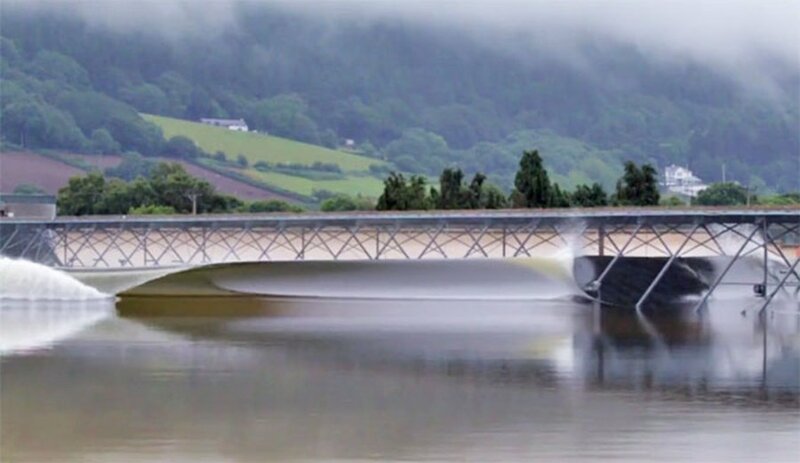 The wave features Wavegarden technology through which a hydrodynamic wavefoil powered by a gearless drive system displaces water under a pier to form glassy swell. In addition to waves, the park offers lessons, food, and unique lodging options. The park is open to the public and hour-long sessions cost somewhere in the ballpark of $60. Founded in 2016 by Doug Coors, NLand made its mark as the largest surf park in the world. In an effort to be as energy efficient as possible, the park features Wavegarden technology. To further their efforts in sustainability, the lagoon is 100% self-sustaining and uses a state-of-the-art water filtration system that meets or exceeds the standards set by the World Health Organization and the Environmental Protection Agency. The park is open to the public and features beginner, intermediate, and advanced waves as well as surf lessons from expert coaching staff. 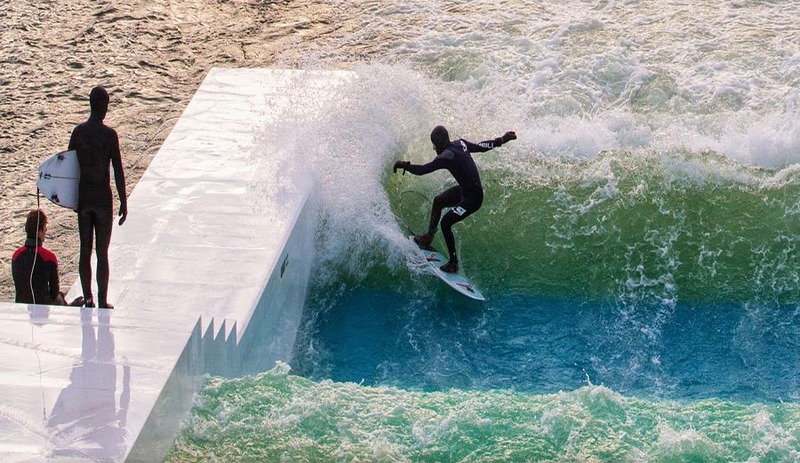 Born in Cologne, Germany, Unit Surf Pool is the first floating surf pool as well as the most efficient artificial stationary wave on the planet. The Unit Surf Pool brings a surfable wave to any body of standing water, meaning an endless water supply and no need for chemical water treatment. Pumps pull water to the surface where gravity then creates a powerful stream heading down the ramp into the wave generating section of the pool. When the stream meets the body of water, a stationary deepwater wave is created. The Unit Surf Pool can operate in any standing body of water with a minimum depth two meters, is available in five sizes, and can be up and running in less than four months. Wave pools offer a controlled platform, with perfect waves on a loop, making them the ideal place to learn to surf or hone in your skills. While scoring surf in landlocked regions is certainly worth experiencing, there’s something to be said about the magic and unpredictability of riding waves in the ocean. There are thousands of waves to choose from but two of our favorites are in Huntington Beach, California and Nosara, Costa Rica. When you’re ready to put your wave pool skills to the test, come join us at one of our kids’ camps or all-inclusive retreats—our expert coaches will help ease the transition from manufactured waves to everything the ocean has to offer. Go to Huntington Beach Surf Camp for our summer surf camp in Huntington Beach or go to Costa Rican Surf Resort for our international surf retreat. Costa Rica is known for its miles of beautiful sandy beaches, amazing landscape and many rich animal species. With the name Costa Rica meaning the “rich coast”, it of course lives up to its name by having some of the best surfing destinations in the world. From being a beginner to being a pro surfer there is a variety of different surf spots for everyone to have the time of their lives. 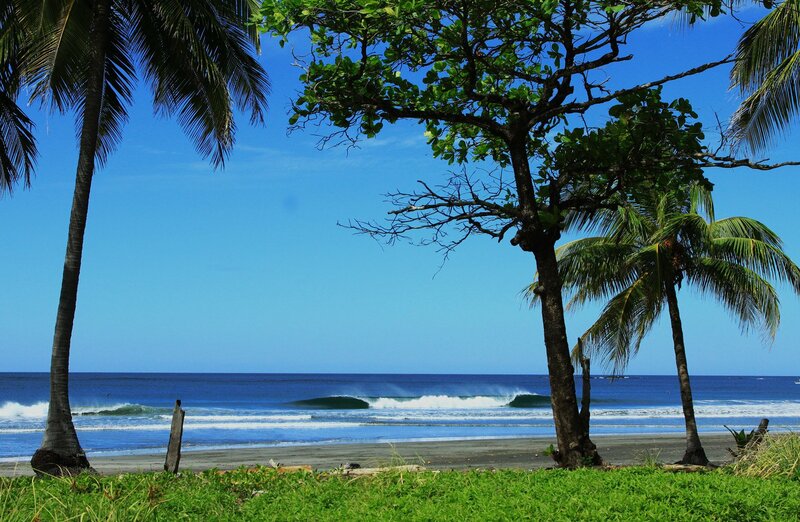 With Costa Ricas Pura Vida lifestyle you will find waves without a problem. Most of these spots are well known for being uncrowded but during tourist season it could be dangerous surfing locations that you are not ready for. Here on the pacific coast side of Costa Rica we will tell you what the best surf spots are for travelers learning how to surf and or are traveling on a family vacation. Even when there is no swell, Marbella always offers very consistent waves. Marbella can get big and rough, but it’s perfect for advanced guests. Marbella is also a less crowded beach since it is so far away. This break is well worth the trip. Ostional is a wildlife refuge south of Marbella. It’s one of the world’s most important nesting sites for Olive Ridley Sea Turtles. 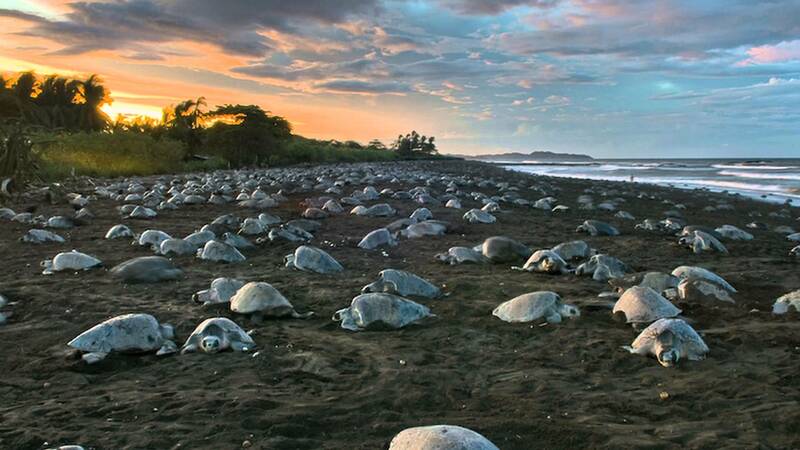 Here you can see thousands of turtles on the beach and surf amazing waves. This is a wave for advanced and intermediate surfers. Ostional is about a 2 hour drive from Tamarindo. When it’s the turtle season, our guides like to go surf and then stay after sunset to watch the turtles.